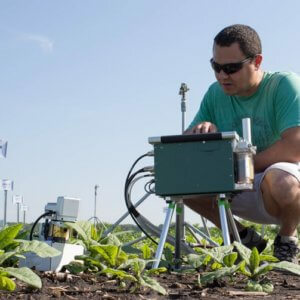 Can AI-enhanced plant breeding deliver high yielding non-GMO crops? Life for Ugandan rice farmers is not easy. They struggle against an array of pests, diseases and drought as they dream of capturing more of a $5 billion global market for rice. For now, their best options revolve around a robust line of new rice varieties bred to cope with some of the difficulties plaguing them. But key crop researchers are pushing for the development and eventual commercialization of GMO varieties tailored to suit the nation’s needs. 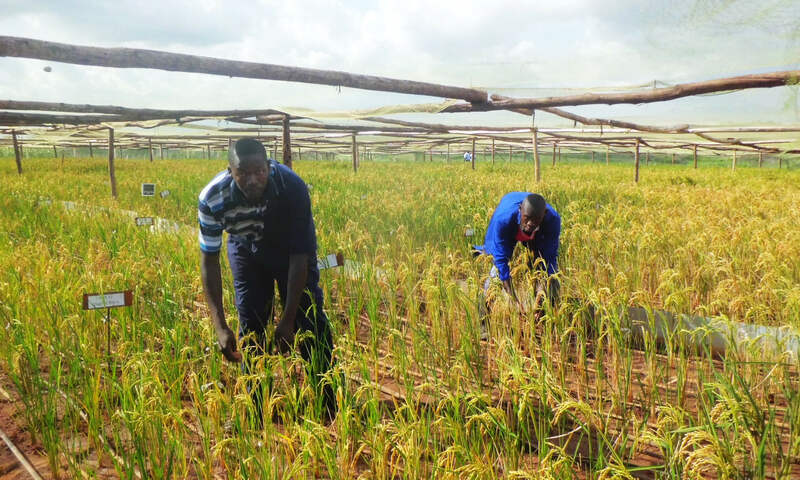 Traditional breeding by scientists at Uganda’s National Crops Resources Research Institute (NaCRRI) has led to the development of varieties known as New Rice for Africa (Nerica). The Nerica series include a group of 18 varieties developed by the African Rice Centre, which is part of the Consortium of International Agricultural Research Centers (CGIAR) along with national research organizations in West Africa. They are based on crosses between a robust African species and a higher-yielding Asian species. Jimmy Lamo, the program leader for rice breeding at Uganda’s National Agricultural Research Institute, said several Nerica varieties were introduced in 2002. 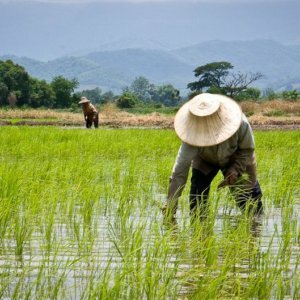 Over the following seven years, the area planted with the rice increased from 1,500 hectares to more than 50,000 hectares. Among the most successful of the new varieties is the Nerica 4, known for its hardiness, high yields and shorter maturation period of 90-100 days compared to traditional varieties that take 120-140 days. 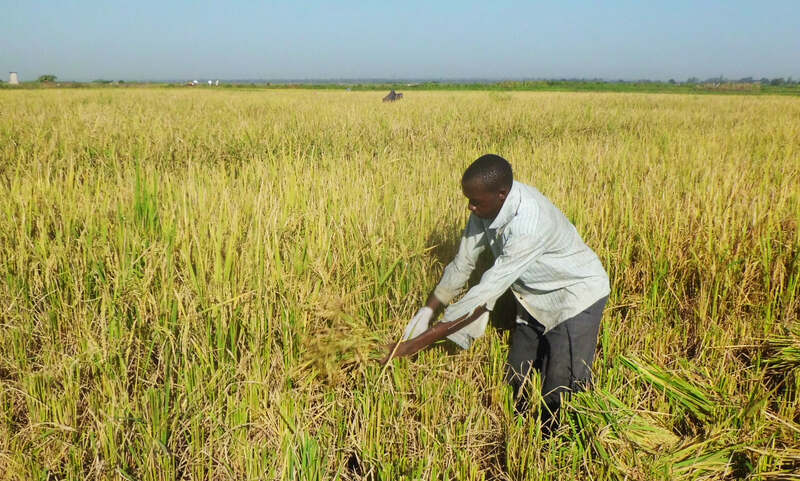 While many of its neighbors grow rice primarily to feed local populations, Uganda’s farmers see an opportunity for commercial sales and increased income. Today, Uganda is one of the leading producers of Nerica 4, ranking twelfth in Africa for overall rice production. We have been carrying out research in lowland rice varieties. We released three varieties in 2002, two in 2007 and four in 2010 which farmers are now growing but with little prospect of giving them good yields. This is because the main disease Rice Yellow Mottle affecting rice growing in lowlands is a challenge to farmers throughout the globe. At the research initiative, which began four years ago, scientists have been breeding these varieties using a collection of species both from Africa and Asia. The varieties from Africa were mainly WITA 9 rice varieties, bred in most West African countries, two varieties from Tanzania and others from the International Rice Research Institute (IRRI) breeding center in Mozambique. Lamo said four new varieties in the Nerica 6 family will have the potential to grow in both upland and lowland areas. “These varieties mature in less than 102 and 120 days compared to the traditional varieties that take 136 days or more,” he said, adding that farmers will be able to harvest four to six tons of rice seeds per hectare from the newly released varieties. Yet even as researchers score wins through traditional breeding efforts, they worry that prolonged success will only be possible through GMO rice, better able to face pests, diseases, drought and nutrient-challenged soils. Lamo said his team is working on a GMO rice variety that can thrive in nitrogen-deprived soils and in drought conditions. This was in response to the concerns of farmers in northern, central and eastern parts of the country, where drought is a common concern. The first trial was conducted in 2013 where the team obtained three promising lines that can be grown in soils with less nitrogen. A current trial is underway to evaluate the varieties under drought conditions as well. The project is funded by US Agency for International Development (Usaid) in collaboration with University of California, which is collecting data on efficiency of the rice varieties. It’s still unclear whether the nation will approve GMOs for commercial release. Uganda’s legislators recently passed a new Genetic Engineering Regulatory Bill. 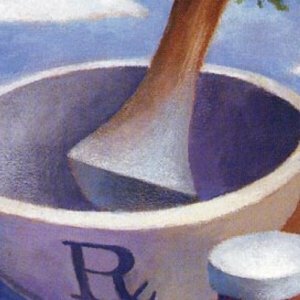 It is designed to provide a regulatory framework for development and application of biotechnology. A previous version, known as the National Biotechnology and Bio-safety Bill, failed after the nation’s president refused to sign it, citing concerns over patent rights of indigenous farmers and sanctions for scientists who mix GMOs with indigenous crops and animals. The initial gene acquisition was from African scientists providing Nerica varieties to their counterparts at University of California. This is where the genes were incorporated into the African rice variety. Abubaker Muwonge, field trial manager, said the team is applying nitrogen at different levels. But they are most interested in how the rice performs without fertilizer. 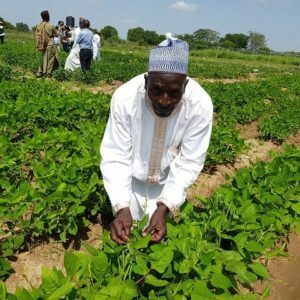 He believes there are positive results in the two selected lines because they can grow under low soil nitrogen conditions of 30 kg per hectare unlike the conventional that require 50 kg per hectare for normal growth and high yield. This means there is yield advantage of 15-20 percent when the transgenic rice is planted under 30 kg per hectare when compared with non-transgenic rice. These lines appear capable of thriving in soil with low nitrogen. But this needs to be confirmed through more widespread filed trials. Thus far, evaluations have taken place at the institute under confined field trials. The next move is to conduct multi-location evaluations in different regions in the country to gather data on the performance of the transgenic lines under different agro-ecologies over the next two years. The research is focused on upland rice varieties where the challenge of nitrogen efficiency is faced by most farmers. Geoffrey Asea, director of NaCRRI, said the focus of GMO rice breeding is on rice planted in soils with zero fertilizer. He said current rice market potential is $5 billion, and that African countries have the potential to compete in that market.